Our Vertical Chevron Panels are designed for delivery, utility or work vehicles that have the space to accommodate vertical panels. I many instances only vertical panels will work. The vertical panels can be purchased at the following link. 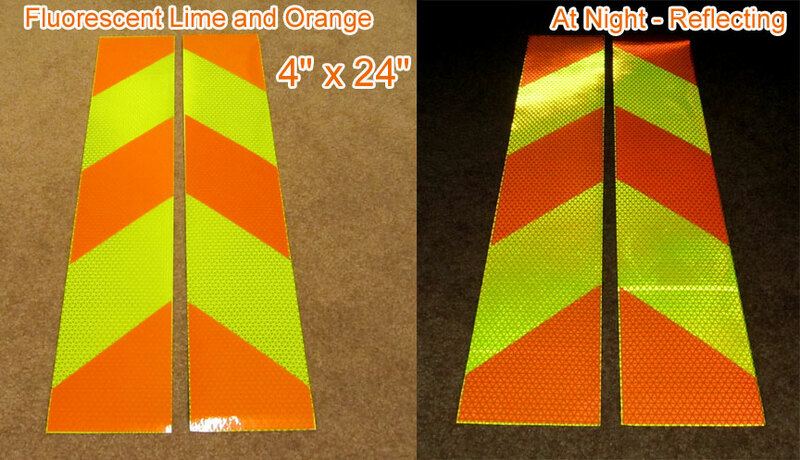 The image below shows a 4″ x 24″ fluorescent lime and orange vertical panel. 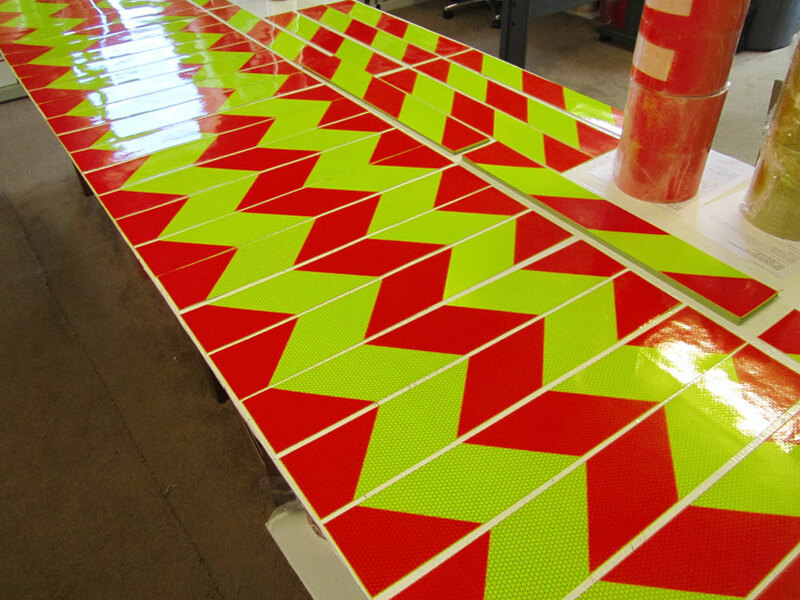 This color combination is popular for fleets that want a color scheme that is different from the standard red and lime. Same size panels but in red and lime.